This pin was given to all the pilots who honored the final strike. Although I was medically retired at the time, my wife was an active participant and had my full support. 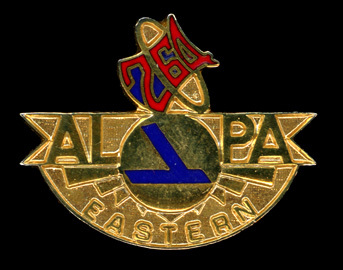 I guess ALPA gave me this one on an honorary basis. The "264", of course, refers to the number of days the strike lasted.